Laurie Carson has been receiving books from the Dolly Parton Imagination Library since she was born. On the Internet: Go to www.unitedwaybc.com and click on the Dolly Parton Imagination Library logo on the lefthand side of the page. On paper: Forms are available at the United Way of Bradley County offices at 85 Ocoee St. SE, Cleveland, Tenn.
CLEVELAND, Tenn. - Fewer than half of the Bradley County children under age 5 who could be getting a free book through the mail each month do so. The United Way of Bradley County wants to be sure the other children know about it. The Imagination Library program, begun more than a decade ago by singer Dolly Parton, offers a free, age-appropriate book each month through the U.S. Postal Service to children from birth to their fifth birthday. Age is the only requirement, and the books are available to children on every socioeconomic level. Laurie Carson read her way through the Imagination Library. Now, waiting out the summer to begin second grade, she's graduated to bigger reading fare, like "Charlotte's Web." 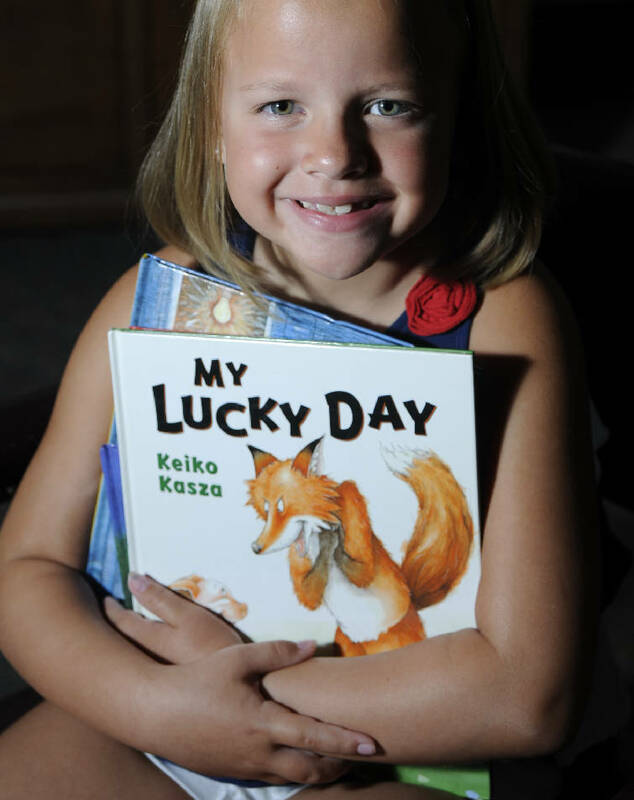 "It's like a little prize when you go to the mailbox," her mother, Angie, said about Imagination Library. United Way spokesman Allen Mincey said Bradley County's average annual membership in Imagination Library is about 2,500. That's about 42 percent of the children who are eligible, he said. "In today's world, people may be skeptical," said Matt Ryerson, vice president of community investment strategy with the United Way. "But there are no hidden fees. You won't be on somebody's mailing list. It's true. It's free." In Tennessee, half the cost is paid for by the Governor's Books From Birth Foundation, a nonprofit organization. The second half is paid locally. In some counties, the Imagination Library becomes its own, stand-alone nonprofit organization. In Bradley, the second half of the cost is paid by United Way. When the local program began in 2005, the county paid the local half. "At the end of last year, the United Way board decided we would meet the local need," Ryerson said. "Our board is very committed to this." And because the books are bought in such large volume, the cost per book is "negligible," he said. Ryerson, whose own children subscribe to the Imagination Library, said a key for the kids is that the book comes addressed to them. "And you know, when you see the book in the mail, the next thing you have to do is read it with them," he said. Parents reading to children has been shown to be beneficial through those first years of learning, he said. The first book to arrive is always "The Little Engine That Could," and all books from the Imagination Library stay away from questionable or controversial topics, officials said.